The days of sitting down in front of one television with two wired control pads and a few friends are long gone, but the memories created from that era will live on forever, and some games were so brilliant that they deserve to be remade for today’s audience. 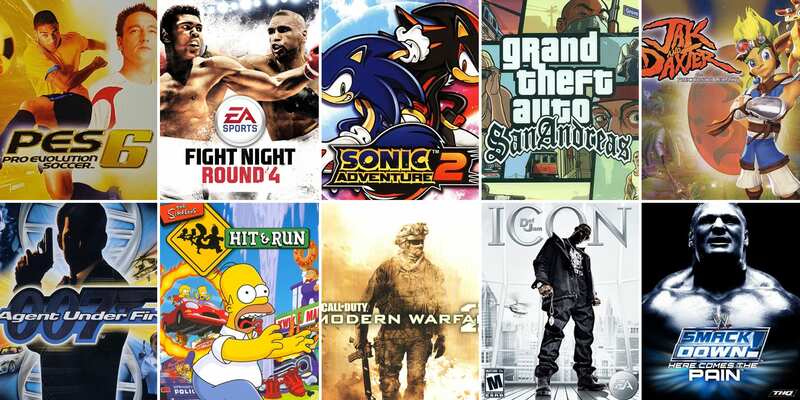 Most of the titles listed here were released before the days of online play, although there are a few entries that defy that notion (did you really think we were going to leave COD MW2 off this list?!). Some games included in this article have been remade, while others are seemingly lost forever. Here is Plugsville’s list of 20 video game remakes. The Pro Evo franchise is alive and well in 2019, almost 13 years after the release of its most iconic iteration, but Pro Evo 6, will live on forever among gaming fans lucky enough to have scored a rocket with Adriano’s 99 shot power. This game is the true definition of a classic, from the gameplay, to the characters to the jazz-themed music that accompanied you as sped around different cities with Sonic or glided around caves with Knuckles. ‘Liberty City’ on PSP was arguably one the console’s best exports. ‘Vice City’ was close as well, but for many ‘San Andreas’ will reign supreme for being the first version of GTA you played remarkable graphics, be it on PS3 or Xbox One. Who can forget writing down cheat codes on a piece of lined paper and tucking them inside the game case for repeated use every time you played? The gameplay was far from perfect, but we didn’t expect perfect, we just wanted a multiplayer boxing game with a decent career mode to play from time to time, which this was and then some. Eddie Hearn suggested in 2018 that EA Sports could produce a newer version soon, but that still doesn’t explain why it’s been off our consoles for close to eight years. We need a new version of Fight Night and we needed it yesterday. Before Uber and Lyft, we had crazy taxi. No apps, no estimated wait time, no surge pricing. Just a Dreamcast control pad, a burning clock and a desire to deliver as many passengers as possible in the allotted time, using characters with dodgy, pixelated hair while driving around in a bright yellow, New York-styled cab. What a time. ‘Road Rage’ was a close contender here but ultimately this video game remake was far more of a complete game. The overall story was compelling, as was the free roaming nature you had with the characters. Plus, back when this was released in, The Simpson’s was still the world’s go-to cartoon show, which made this game that bit more of a must-have growing up. The Gamecube iteration of the Super Monkey Ball franchise is what we’re remembering here, a light-hearted game that allowed you to carry out a series of random mini games involving a monkey encapsulated in a see-through ball. You didn’t play this game everyday, but when you did, it never disappointed. Jak and Daxter have made cameos in Ratchet and Clank games, and vice versa, but the first two names are a pair of OGs in the world of computerised protagonists with a seriously undersized understudy. The story mode on this game was ahead of its time and the fact that James Bond’s theme tune played every time you accomplished something only added to its brilliance. The offline multiplayer function was also top notch. One of the best first-person shoot-em-ups from the early 2000s and a certified PS2 classic. You didn’t play this game for cutting-edge fighting gameplay and there definitely far better actual fighting games out there at the time. But the ability to fight with your favourite hip hop heads was more than enough. Kano also featured. Competing to become the #1 tennis player in the world by flying around the world for mini games and tournaments made Virtua Tennis the ultimate game to play when you were bored of the game you already played too much. This was also one of the better games to grace PlayStation Portable, a handheld PlayStation console that lasted a decade before being discontinued in 2014. Spyro’s candid nature and easy-going nature of this purple dragon made this one of the ‘less serious’ titles in your collection but still a game you didn’t stop playing until you’ve clocked all the levels. Spyro is one of the few video game remakes that have since been remade, as you can relive this adventure for a small price on PlayStation Plus. When this title was released on Dreamcast back in 1999, the decision to show gradual cuts and bruises on fighters was dubbed as revolutionary. That is how old this game is, that extremely basic graphic requirements of today were seen as forward-thinking, but what a game it was. Some video games are great not because of the gameplay but for the world in which you become immersed in. It’s about the experience and that’s what you got with Jet Set, a license to skate around Tokyo spraying graffiti wherever you please. In truth, many iterations of Smackdown vs Raw could’ve made this list. But ‘Heres Comes The Pain?’ is something like the godfather of wrestling game classics. The only knock here is that you could annoyingly store five ‘finishing moves’ at once (this was the last version to do this, later versions capped it at two), but overall, it’s a top notch title that will live dearly in the memory of many. Compare this game to a new title from 2019 and a younger fan will be surprised at how something so basic was so entertaining. For a platform game, there was a healthy balance between adventure and action as you tried to navigate your way through the Wumpa Islands. Pokemon was a big deal back in the day and the franchise has remained consistent throughout the years. The second generation of games, designed for a handheld Nintendo device called Gameboy Colour, were arguably the best, although Pokemon Ruby/Sapphire releases allowed you to make trades with other users via a special wire that connected your game Gameboy to theirs, as well as being able to use a cheat code device called an ‘Action Replay’ to get unlimited rare candy’s. It might not seem obvious, but the ‘Halo’ franchise was a big reason why a customer would buy an Xbox over an PlayStation device back in the day, such was the popularity around this title. The map were spacious and the gameplay itself is what helped it stand out, because when you got someone, you really got someone. A five-a-side football game where the objective is skill up your opponent in a small cage is basically how a lot of Londoner’s grew up, so when the ‘FIFA Street’ franchise began, it was like your childhood was being brought to your games console. There were rumours that FIFA 19 would include a new game mode paying homage to the infamous ‘FIFA Street’ franchise but nothing materialised. That’s unfortunate, because the final entry in our list of video game remakes definitely needs to return to our screens soon.